Emma Burke wakes up in a hospital, with no memories of how she got there and of her life before. As she becomes stronger, her husband Declan and her doctor fill in her past, telling her she was attacked by enemies of Declan. These enemies are fighting Declan’s company, and are against his plan to improve the fertility rates among women in a world where babies are an increasingly rare thing. Declan is handsome and charming, and seems to genuinely care about Emma; surely he cares about others as much as he cares about her. But Emma’s dreams hint of a darker, harsher reality, one where girls are trained in large camps to be wives, and where the world is caught up in the turmoil of war. When Emma picks up a paintbrush and starts painting, it as if she is painting directly from the life of another. A man named Noah Tucker seems to recognize the memories captured on Emma’s canvases, and she is shocked to realize that her dreams may be the key to changing the world. Archetype is a rare book: it’s a brilliant blend of science fiction, romance, and mystery. The writing is fresh, and the storytelling inventive. You uncover the truth of Emma’s life as she does, and see, through her eyes, as her reality begins to unravel, revealing something new and unexpected. I won’t spoil it by giving away any more than that. Read it and enjoy it. I am already looking forward to the second book, titled Prototype, coming out in July. 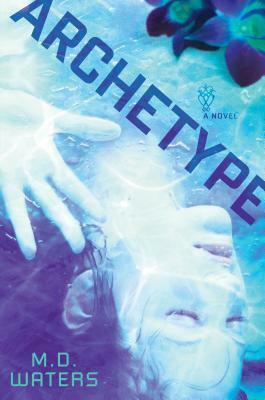 My copy of Archetype was provided through Edelweiss at abovethetreeline.com. This title will be available on February 6, 2014.